2. Click on ‘PLAY GAME’ button. 3. 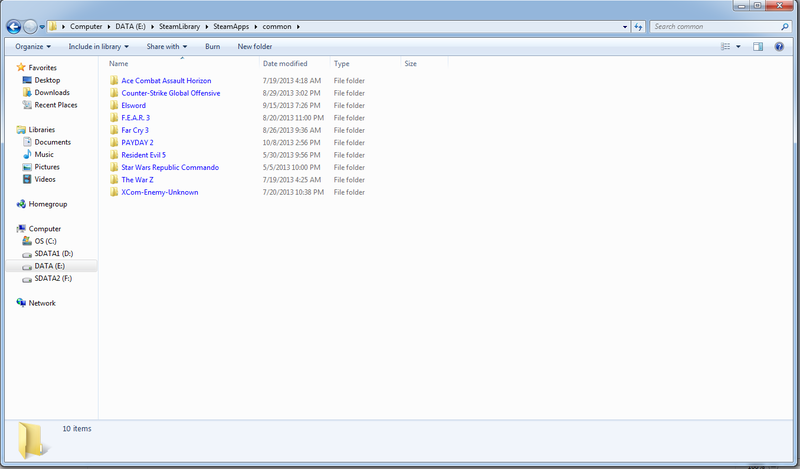 Installation procedure: Disk details/requirements and installation location. 4. Installation procedure: Shortcut specifications. 5. Installation procedure: Disk space allocation. 6. 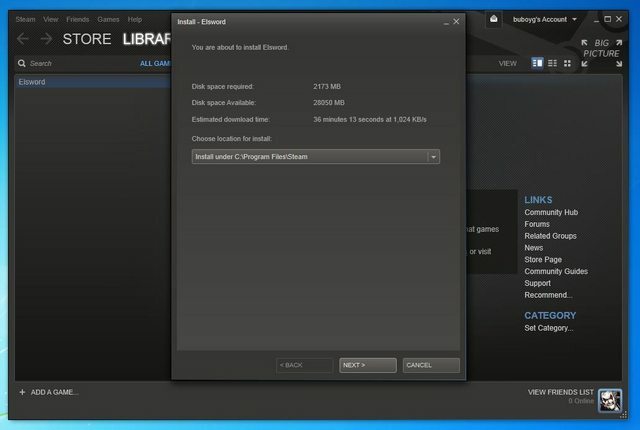 Installation procedure: Download confirmation. 7. 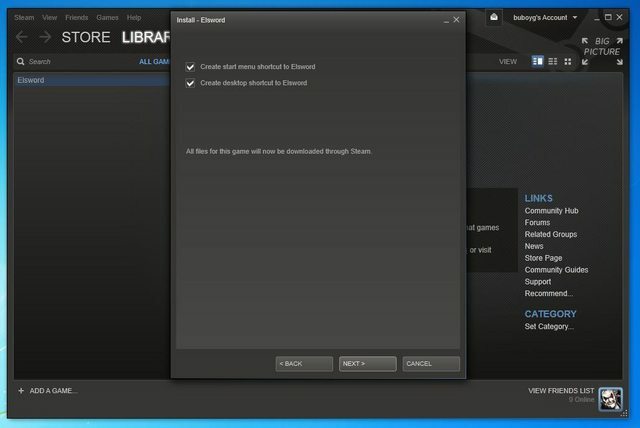 Steam Games Library: Download status. 8. 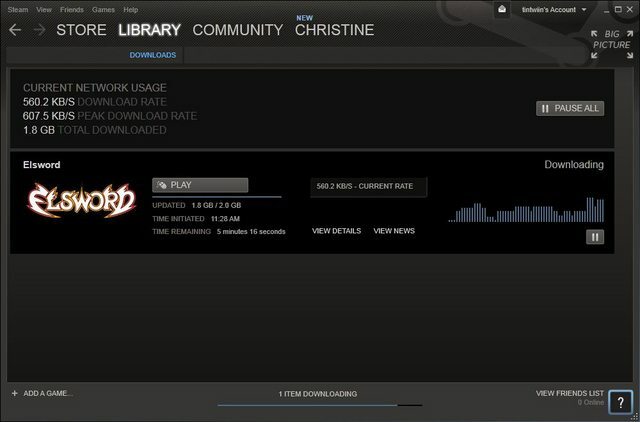 After completion of game download, click ‘PLAY’ button. 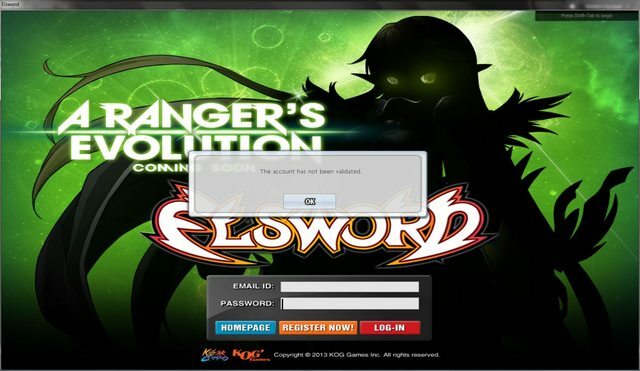 Elsword launcher/login window appears prompting user to either login an existing Elsword account or register. 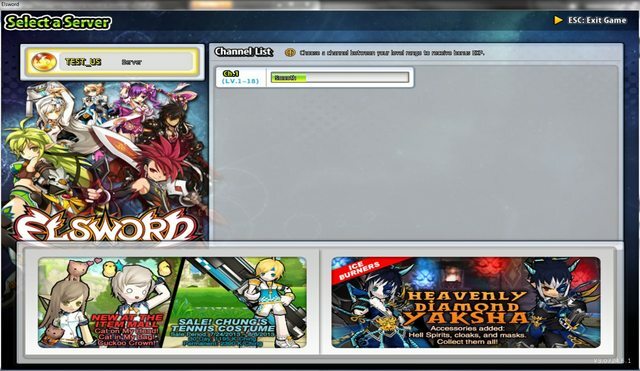 After login using an existing Elsword account, player should be able to launch and play Elsword. 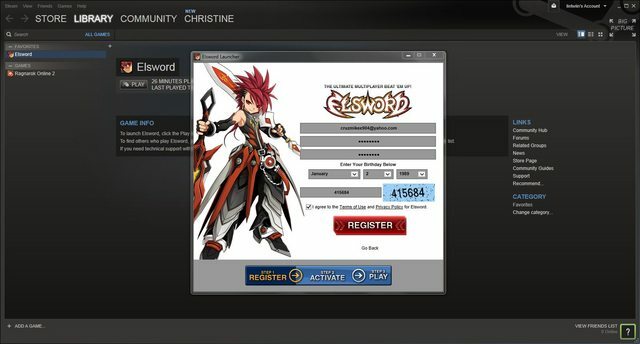 His Elsword account will now be permanently linked to his Steam account. 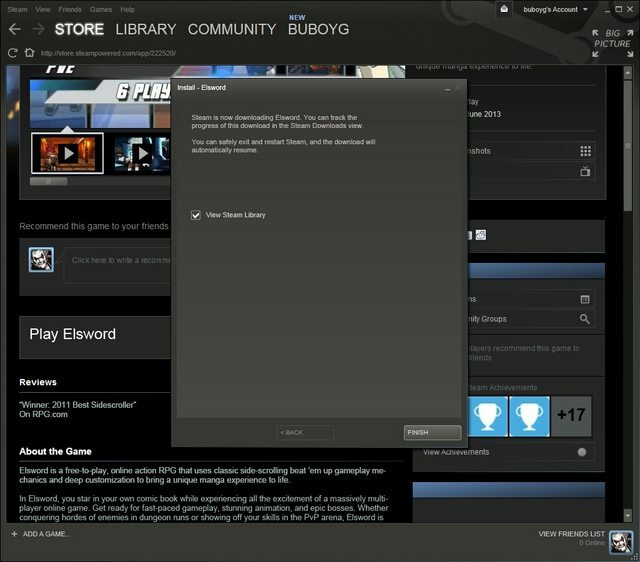 Player can still use his ES account in regular client login and should use his steam account when using Steam ES client. 9. 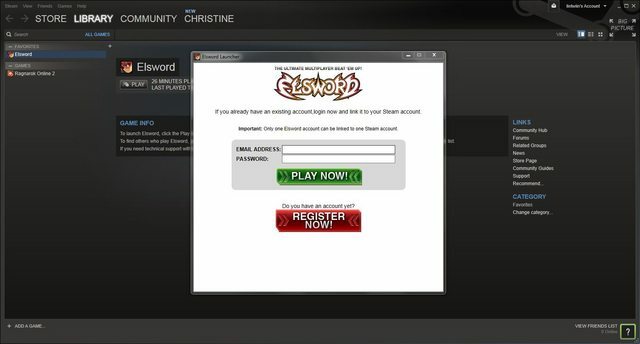 Register for an Elsword account. Note: Registration fields/requirements will be the exactly the same as current web registration. 11. 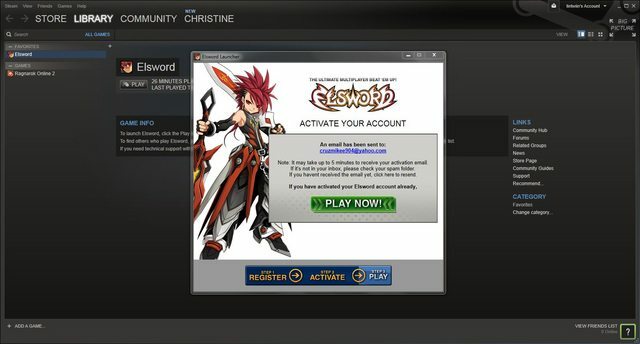 Email to activate Elsword account in Steam. 12. After clicking PLAY NOW, the game launcher opens. 13. 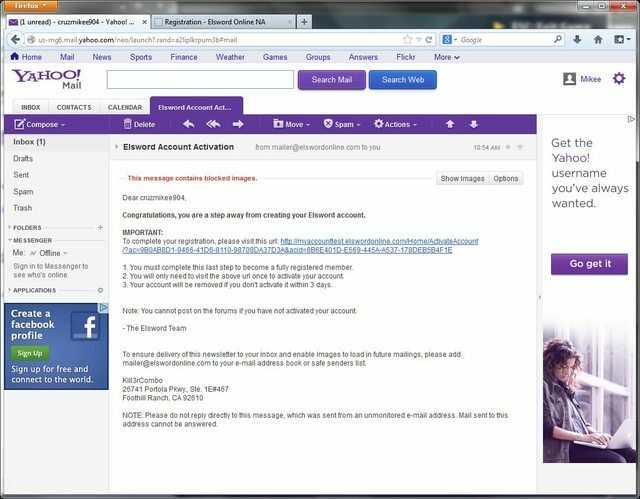 If Elsword account is not activated yet, account not validated message should appear. 14. Game loads after a successfully activated Elsword account. 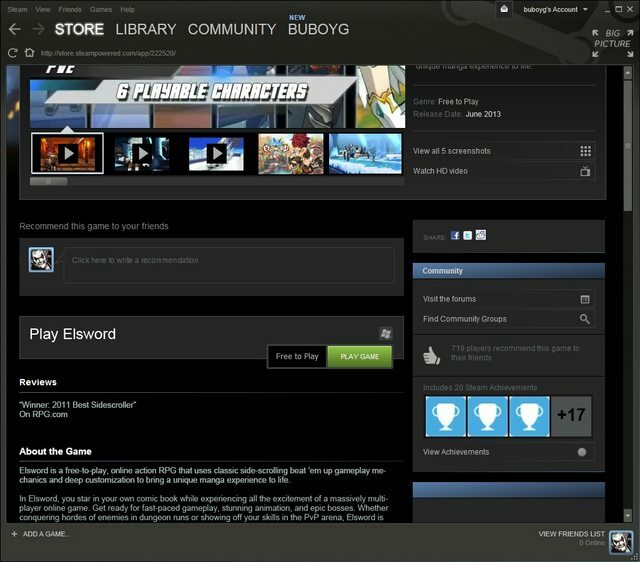 You can move your elsword folder into steam's library folder. 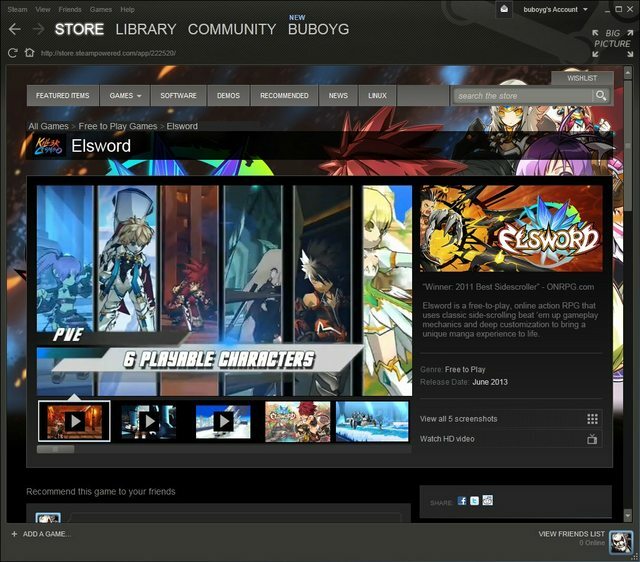 Then go to elsword page on steam store -> click play game. I tried to link my account but the areas where I'm supposed to enter the account information don't show up. Its not even showing up for me. well the boxes to input my account information. Any way around this? Like, switch the pop up browser? Hi, please don't necro threads that have been inactive for 30+ days. If the issue persists please make a new thread in Game Support section rather than bumping a dead thread.